Holistic Facials in Peoria? Yes! Looking for a non-invasive way to boost collagen? Ever hear about Light Therapy? NASA scientists were looking for a way to heal astronauts in space and discovered that different colored lights could penetrate the skin at different levels, seriously affecting change. 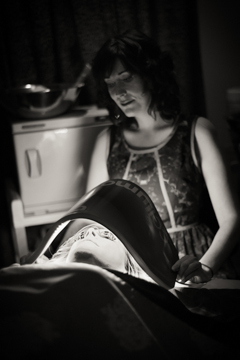 I use the blue lights to heal acne clients. This has been FDA approved to clinically kill the bacteria that causes acne. While the lights pulse over my guests, I perform foot reflexology to stimulate healing and release toxins to clear the skin. As an anti-aging device, I use the red and infrared lights to boost moisture levels, increase collagen, brighten my clients’ skin and elevate mood. This is a great tool to use during cold weather. I use this LED panel on myself whenever I can!! Book an LED facial today so that you too can benefit from its many uses. You keep hearing it, “Drink more water!” But by the time the.